All the strange wind was generated by our conversations. BTW, we talked about you. We thought it was pretty tacky that you'd sit behind home but be too elite to come to the Loft. I wanted to make sure no one sat in your seat while you were fraternizing. Thanks for havin' my back. Mathguy told me I looked different on TV. I'm sorry we didn't join all of you in the section Vark got tickets. 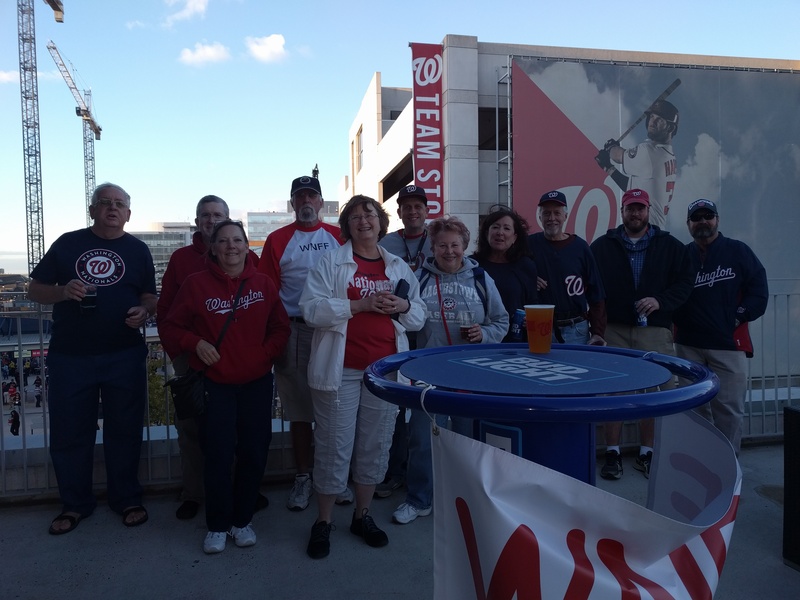 Do to the cold temp, we spent most of the game at sitting at the bar in the Red Porch. Did anyone go to a place outside the park after the game ? 202 was very pleasant, no breeze as compared to the wind whipping through the Loft area. Big thanks to VARK for putting this together and for the tickets. Enjoyed meeting everyone. Sure, that's what you told me and VaRK too. I second that. Thanks VaRK. It was great to put some faces to the names. Of course I don't remember anyone's real name. My name is really Brian. I totally forgot about this...did anyone see the WNFF scoreboard message that bluestreak arranged? I went to get a beer and the folks in 202 saw it. Did Chief approve that move? You did a great job on the Meet and Greet. I think you may have found a second career .... Party Planner/Coordinator. Only downer was the gale force winds out of the North. So, other than I  Rendon, what did it say? Was great to see some old faces and meet some new ones. Big Thanks to VaRK for making this happen and for the great seats! I had to go back a page because I thought I was going crazy thinking that one guy originally had his back turned in the photo. I loved that it actually had mitlen's avatar and he was turned around. It'll pass 'til the next time I don't buy ya one. Omgosh could I look any worse in that pic VaRK? ?